(MoneyWatch) The "shadow inventory" of homes at risk of foreclosure is finally starting to hit the market, raising concerns that a flood of properties for sale could lower home prices and hinder the housing recovery. These homes include properties with delinquent mortgages but that aren't yet in the formal foreclosure process. Foreclosure rates are up about 9 percent from last year, according to market researcher RealtyTrac. That jump is almost entirely attributable to shadow, or pre-foreclosure, inventory, which increased 59 percent over last year. By contrast, homes in other stages of foreclosure has decreased. The number of homes scheduled for foreclosure auction was down 25 percent, while the inventory of bank-owned homes decreased 3 percent. So the foreclosure rate that is typically tracked -- where the bank has seized a home and that ignores pre-foreclosure properties -- is down. It's that shadow inventory that is keeping overall foreclosures up. This glut of homes heading to foreclosure was bound to hit the market. They have been stuck in limbo in recent years, as government regulations change how banks and mortgage servicers handle foreclosures. "Delinquent loans that fell into a deep sleep after the robo-signing controversy in late 2010 are gradually coming out of hibernation following the finalization of the national mortgage settlement in April 2012," said Daren Blomquist, vice president at RealtyTrac, in a statement. "The settlement provided some closure regarding accepted foreclosure processing practices, and as a result lenders have been reviving more of these delinquent loans and pushing them into foreclosure over the past 12 months, particularly in states where a lengthy court process has resulted in a bigger backlog of non-performing loans still in snooze mode." Foreclosures peaked at more than 2.2. million in December 2010 before steadily decreasing to a five-year low of 1.3 million in May 2012, down 29 percent from the peak. 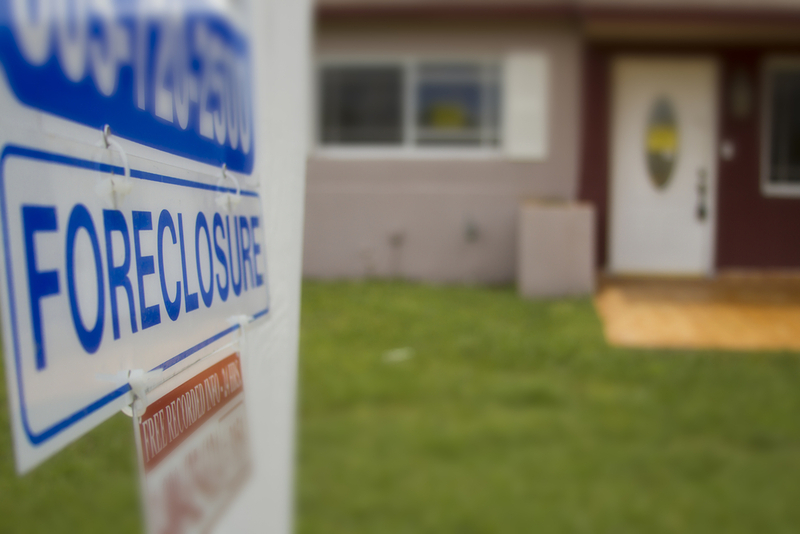 As the total number of foreclosures was falling, a federal settlement was struck last year forcing the five largest U.S. banks to make reparations to borrowers who lost their homes or were otherwise affected by shady mortgage servicing practices. These included things like robo-signing, where banks fraudulently signed documents legally required to foreclose on a home. Along with that came new mortgage servicing rules from the Consumer Financial Protection Bureau, effectively pushing pause on foreclosures while banks figured out their obligations under the law. The banks are now again gearing up on foreclosures. In a market where price increases are being driven by low inventory, it is likely that these new homes, about 200,000 in all so far, will cause home price fluctuations when they are put up for auction. But they haven't so far, and it's possible they won't. Inventory is limited right now, just as home buyers are showing up for the big spring season. "The good news is that it is a relatively short-term trend, because delinquency rates on newer loans are going down," Blomquist said in an e-mail. "Still," he warned, "it will likely play out for the next 18 months."